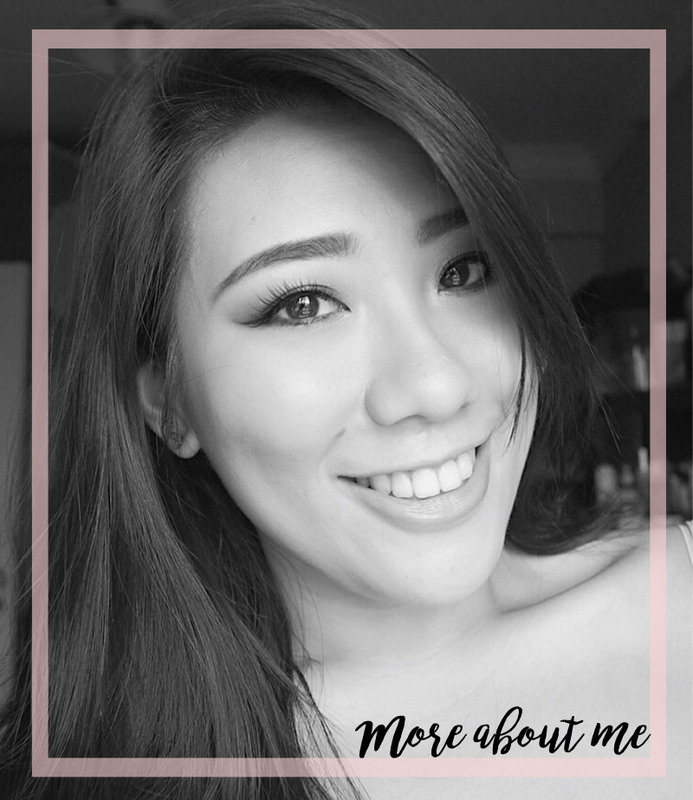 If you have been with me for a while, you would know that I only started trying out Korean beauty products about one and a half years ago and I usually get my items from Althea Korea. Despite having been to Seoul and constantly checking out duty free prices in the airport, I can safely say that Althea really does keep the prices competitive and I love them for it. 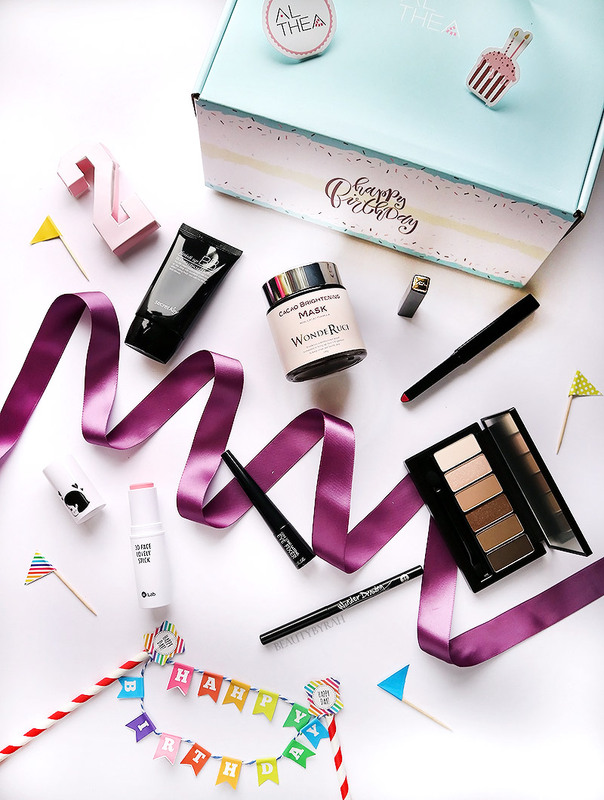 Recently, Althea Korea turned 2 years old and they created a B-Day Makeup Box to celebrate the occasion! These boxes consist of a few full-sized items and it is a great way to try out various items from different brands at a great deal! Currently, this box is already sold out! They do these makeup boxes pretty regularly, so do keep a look out on the site itself as they get sold out pretty quickly! You can get some of these individually on their site, and I will put the price and link for you! 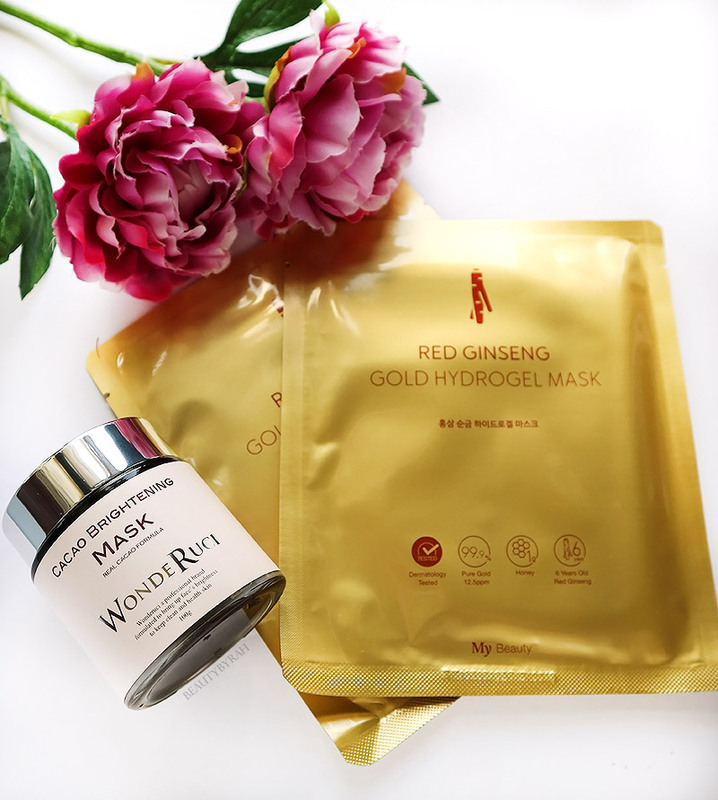 I have not tired this out but I am loving hydrogel masks at the moment and will definitely try these soon. You can check these out here. 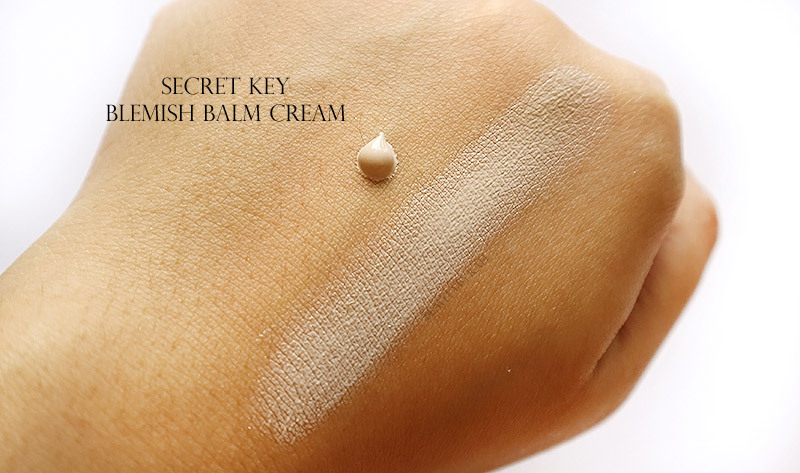 This BB cream is said to be a longwear makeup base. It did not seem to have a shade, and it was super pale for me but I can see this working it for the paler girls. This is a twist up blush stick that makes it perfect for the days when I want to get my makeup on quick. 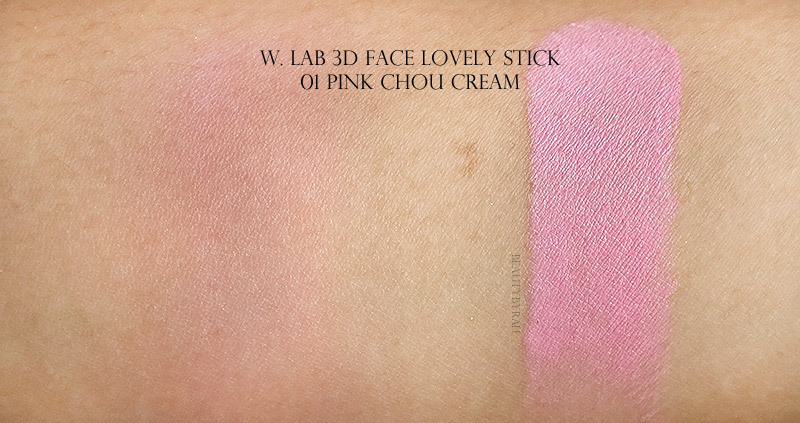 I have tried their 3D Contour Stick before [review and swatches here] and I am a fan. This blush is a peachy coral shade that adds a nice flush to the cheeks. I usually apply this after my foundation and before setting. A little bit goes a long way here and I had no issues with blending it so far. You can check this out here. I've heard so much about Son & Park and I am glad that I get to try their eyeshadows in this box! 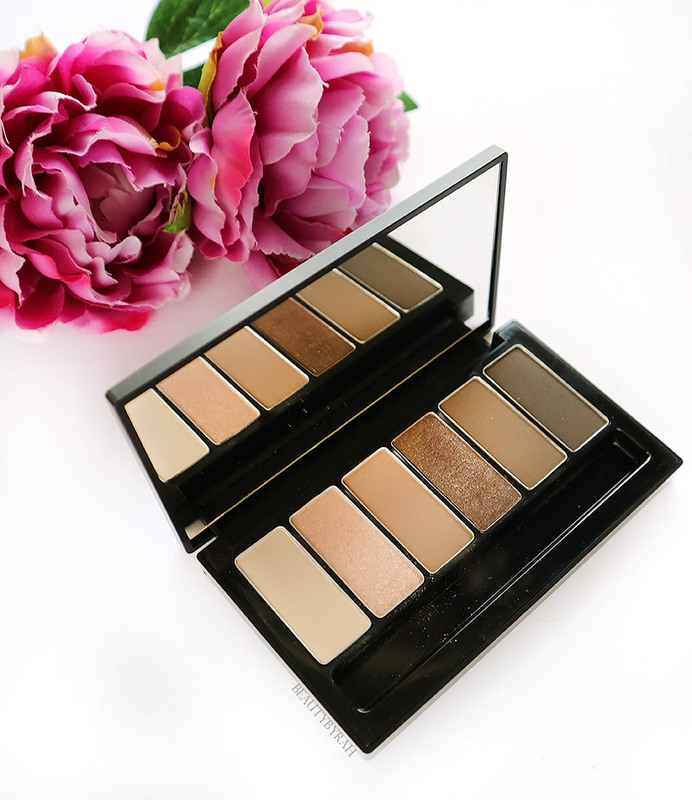 This eyeshadow palette has 6 shades - 4 mattes and 2 shimmers, making it extremely versatile and entire looks can be created using this alone without digging out any additional shades. I can't find this on Althea, but you can check it out on Son & Park's main website here. Right off the bat, I was impressed with the pigmentation of these shadows. I've never used any korean eyeshadows before as I had swatched a few in stores and the pigmentation did not blow me away. These shades, on the other hand, is definitely pretty darn decent. I also like how blendable these are! 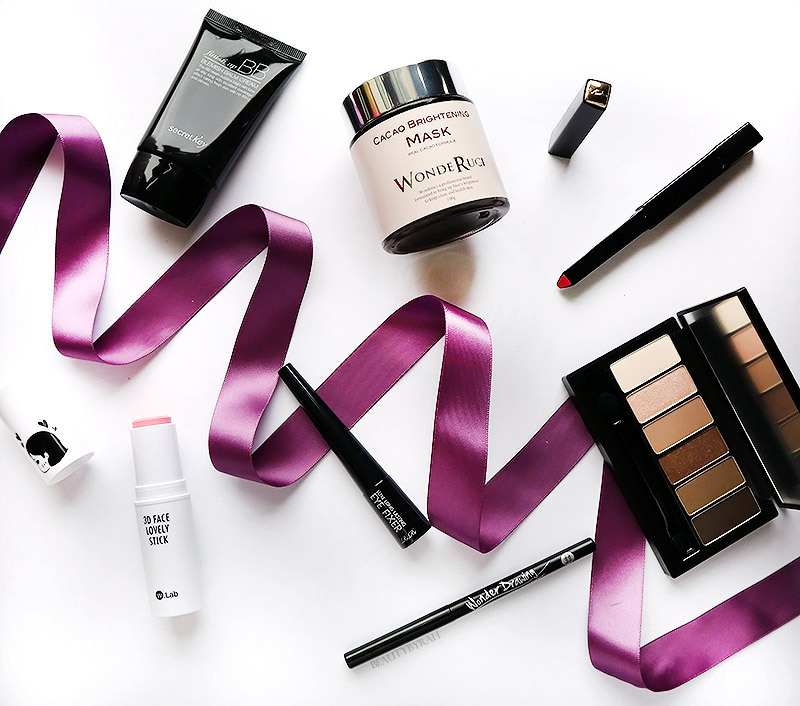 Overall, a great palette for beginners or for travel. 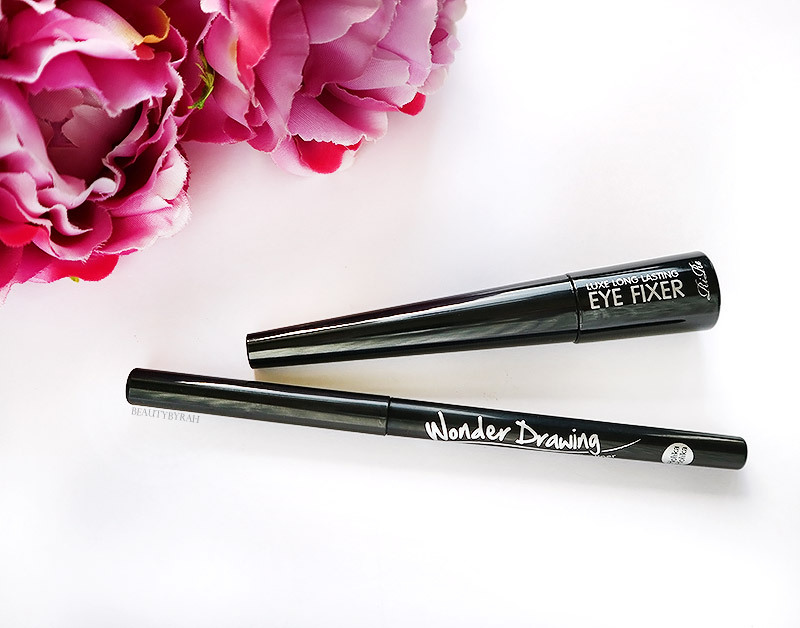 It also contains 2 eyeliners, one pencil and one liquid - Holika Holika Wonder Drawing 24hr Auto Eyeliner in Black (SGD 5.60) [here] and Rire Luxe Long Lasting Eye Fixer [here]. I've heard so much about these lipsticks and I'm glad that I get to try this in the box! This lipstick is really uniquely shaped and it does make application quite easy. 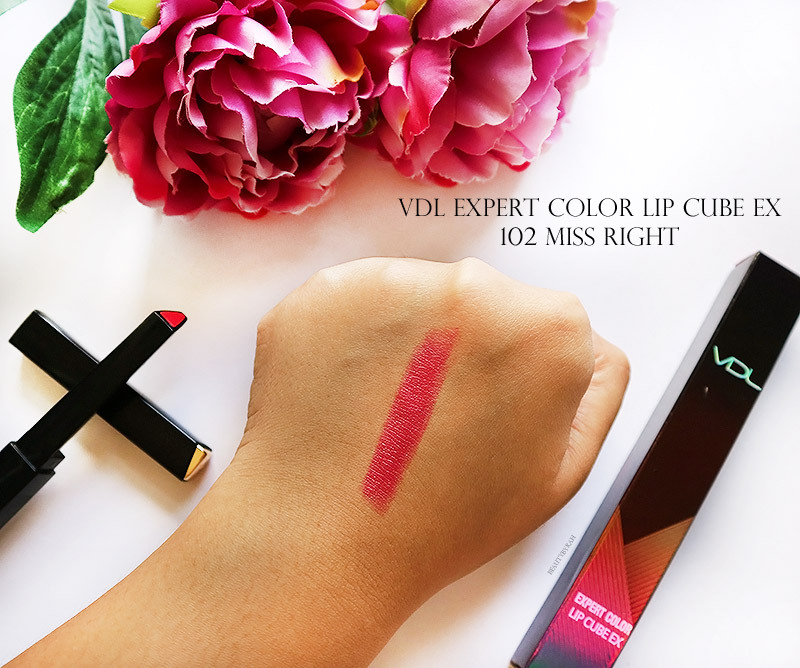 The formulation is decently pigmented and glides on really easily on the lips too. This is also unavailable currently on Althea, but here it is on VDL's main site. Hope you enjoyed this little unboxing! I do highly recommend you checking out the Son & Park Eyeshadow palette if you have that brand readily available to you! **These products were sent for an unboxing feature by Althea Korea. Only honest thoughts are shared here, with no influence from others. I am not compensated nor affliated to the brand.